This was a MASSIVE training week! I really wouldn't anticipate seeing these numbers for about 2 or 3 months. The big reason it's big is because I rode my bike to work on Tuesday. That was an huge training day in itself. I rode to the gym, swam 2,500 yards, continued my bike ride to work (total of 14 miles), then rode my bike home (16 miles.. took the longer route). After dinner, I took off for the Line Creek Trail and met TKB after her run, which was an hour for me (7.35 miles). It was a 39 mile day! My car for Tuesday -- Prepped and ready to go on Monday night. The amazing thing was thing about this week is it has been a horrible week for me at work. I logged over 60 hours at the day job. While I'm happy I prioritized my training, this can't (and won't) continue like this or TKB will divort me. I definitely love her for allowing me to be cranky this week due to work and because of the emotional drain those kind of miles put on the body. 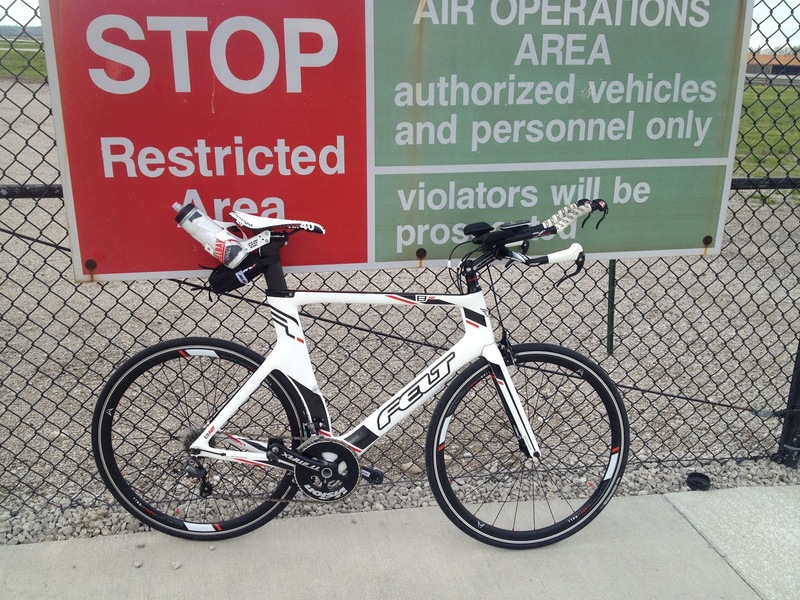 On Thursday I took my tri bike to the downtown airport where there is a 4 mile-ish loop. My goal being was to practice doing time trials to get comfortable with the idea of pushing myself to the limits on the bike. I'm signed up for the Corporate Challenge Time Trial on May 29th at the Kansas Speedway (Come out to watch!!!!!) I did a warm-up ride, then kicked it up for a loop, then a recovery lap, and repeat. I did three time trial loops. The wind at the airport was pretty brutal as it seems to always be a headwind. I emailed the coordinator for the Corporate Challenge Time Trial about it. He mentioned that wind is your training friend. Hmp... maybe frenemy. I finally met up with Drew from Twitter this past weekend and we did 3 laps of the KC Tri Bike course! Drew even did one more lap after I cut out. This was very much an eye opener. 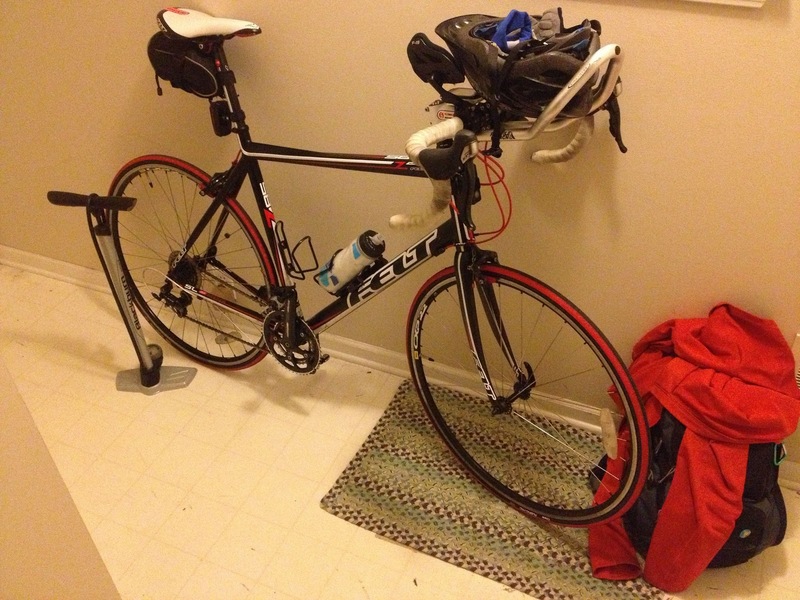 In 2013, I have completed 41 bike rides for 682 miles. Seven of those rides (accounting for 137 miles) were on the road with the rest being indoors. The hills on the KC Tri bike course were nasty. While I recorded 1,500 of elevation gain, most of that came in BIG chunks. I was spent pretty quickly. My hope is that I killed my legs after this massive training week, which included my time trial practice 36 hours before Drew and I did the 38 miles. This is my blog and I can continue to make up as many excuses as possible but I'll stop.... for now. OK.. more like a screenshot of Sunday morning's twitter feed. Um.. yeah. 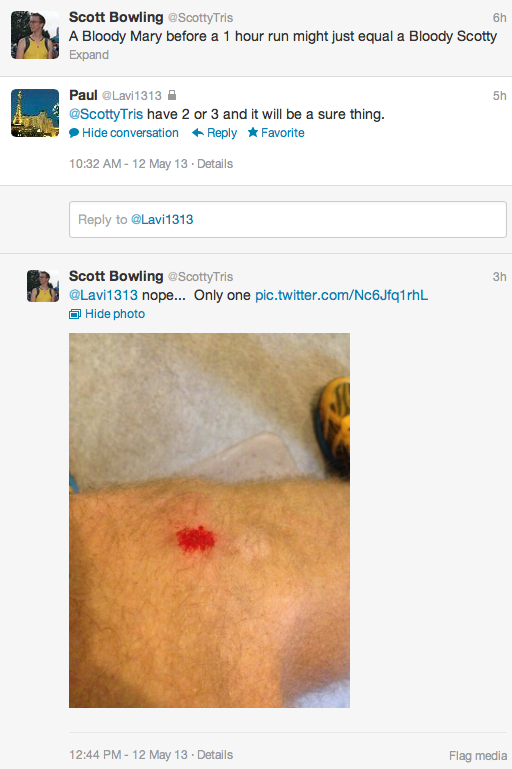 I really don't think my pre-run hydration caused this but it might have kept it from hurting that much. I was at the furthest point away from home and uneven pavement on the sidewalk tripped me up. I managed to catch myself and roll into the grass. I had to look like a tumbleweed of arms and legs to all the cars at the stop light about 40 feet away. Fortunately I was able to complete my run but with a slightly smaller ego. Final Prep and Tips for Hospital Hill Run! Race Preview: Kansas City Triathlon!